As America celebrates Black History Month, one historic house’s story offers lessons in community and diversity that still hold relevance today. 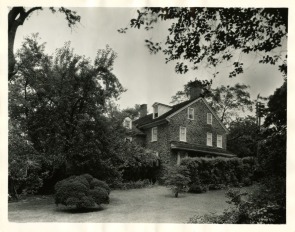 Built in 1768 by John Johnson, the Johnson House was the home of generations of the family from 1770 to 1908, according to tour guide Jim Crichton. In the 1850s, the family used their home as a meeting place for abolitionists and to hide runaway slaves in parts of the house such as the attic and the spring house. Quakers Samuel Johnson and Jennet Rowland Johnson strongly disapproved of slavery because of their religious beliefs and took in runaway slaves, or “freedom seekers,” as they are referred to throughout Johnson House tours. 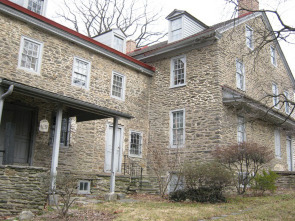 In 1997, the U. S. Department of the Interior made the Johnson House a National Historic Landmark. Since then, members of the community have had the opportunity to tour the home and learn the history of the Johnson family and the Underground Railroad. The public can also take away lessons about community and diversity as they hear a story of people helping others to gain their freedom. Swinson and the tour guides focus on creating an educational experience that both the young and the old can understand and appreciate. Unlike most museums, the Johnson House doesn’t rely on objects and art. The tour guides instead take visitors from room to room as they tell the story of the Johnson family and the freedom seekers. "It's not the kind of house where you come in and learn about the china and the furniture. 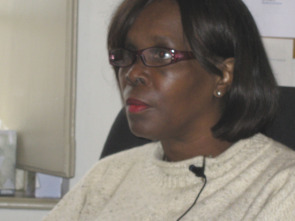 You learn how important it is to think about your fellow man," Swinson says. Walking through the house, the tour guides explain the purposes the rooms served to the Johnson family. They also use the rooms as different venues to shed light on subjects that do not necessarily relate to the Johnsons. One of the bedrooms holds a display of famous and not-so-famous abolitionists where visitors can learn about the likes of Harriet Tubman, Frederick Douglass and William Still. The room that was the Johnsons' office has an exhibit about a student-run archaeological dig that took place on the Johnson House grounds. You can see pieces of objects that once belonged to the Johnsons on display. The items found show how wealthy the Johnsons were, despite their modest home. Simplicity and modesty were at the core of their Quaker beliefs and are apparent throughout the home. 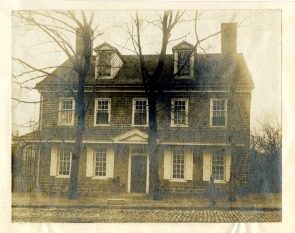 As an extension of the educational experience, the Johnson House is one of four historic sites in Germantown that participates in the History Hunters program. Created for fourth and fifth grade students, the program works with participating schools' curricula to further reinforce the history lessons the children learn in the classroom. About 1,500 students make their way through the house because of the History Hunters program who might not have been able to visit it otherwise. When touring the Johnson House, visitors can't miss the impact it has had on the children who have toured the site. 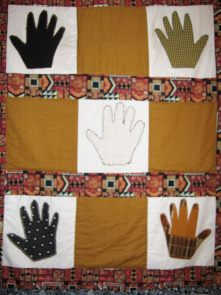 On display in the drawing room are quilts and other artwork created by the student tourists after they had reflected on their experiences learning about the Johnson family and the Underground Railroad . Created to coincide with Black History Month, the Johnson House holds an essay contest for three different age groups ranging from third to 12th grade. The winners will be announced from 3 to 5 p.m. Sunday, Feb. 21, at the site. This year’s contest topics invite young people to think about protests against slavery. It is another way the Johnson House works to engage young people to think about history on a more personal level. This article was written and reported by Lauren Herman and Bryant Maddrick for Philadelphia Neighborhoods, a publication of Temple University's Multimedia Urban Reporting Lab, and originally published on February 9, 2010.